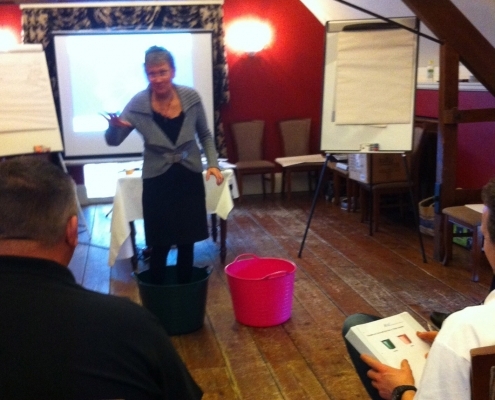 We’ve run workshops incorporating the principles of Pink Bucket Thinking for many years now. 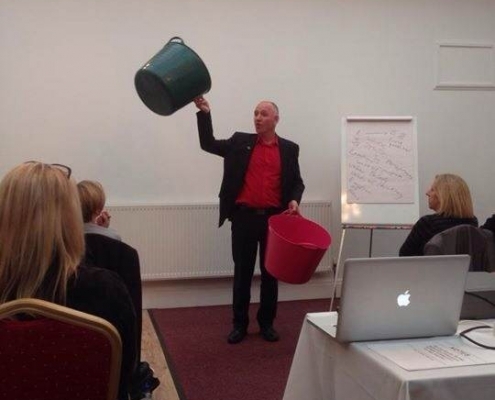 Using the buckets to increase people’s awareness of their thinking and how it affects them in life works really well because it’s such a simple yet powerful metaphor. It sticks because it’s so memorable, easy to refer to and easy to experiment with. We have varied our workshops over the years according to the different audiences that we have worked with. 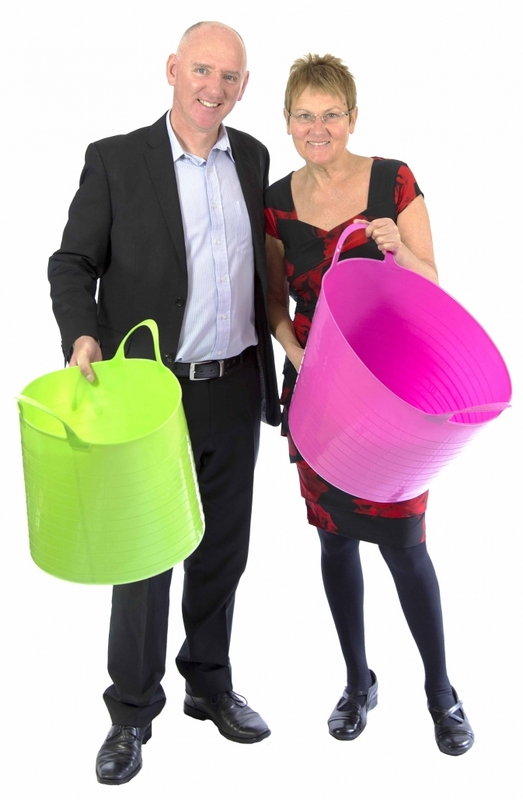 Leaders, managers, sales professionals, teams, fundraisers, coaches, therapists, students, medics and entrepreneurs are just some of the folk we have shared Pink Bucket Thinking with. We can of course tailor the emphasis of the workshop for best relevance for the group and their desired outcomes and experiences. Please feel happy to contact us to discuss your needs further. Why bother to examine your inner world? Keeping yourself in the driving seat! Creating a strong positive self-concept for yourself! Doing it your way when living in the pink! The workshop can be modified to suit different timeframes and different group sizes. We suggest a minimum workshop time of 45 minutes and we can also run whole-day programmes … or any timescale in between. Contact us to discuss this further. 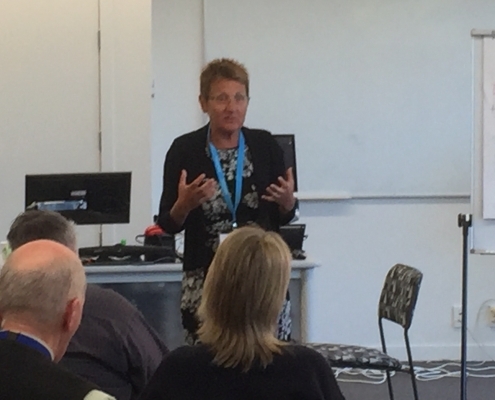 We will help workshop participants get better at noticing when they are doing unhelpful ‘green bucket’ thinking and when they are doing more helpful ‘pink bucket’ thinking. What thoughts are hindering progress and which are smoothing the way to the outcomes and experiences that they want? We’ll also help participants understand the value of forgiving themselves quickly and getting back on track effectively, at times when they’ve found themselves temporarily stepping into the green bucket. Choosing new thinking patterns in key moments can soon get people back into more useful pink think. For best results, we encourage participants to fully incorporate Pink Bucket Thinking as a life choice that will help them in all areas of their day-to-day living and inspire others to benefit too. Coming soon – Our Pink Bucket Thinking open course: Attend as an individual and gain a good working understanding of how Pink Bucket Thinking can enrich your life and help you get more of the outcomes and experiences that you want. Contact us to register your interest and to be kept informed of workshop dates. 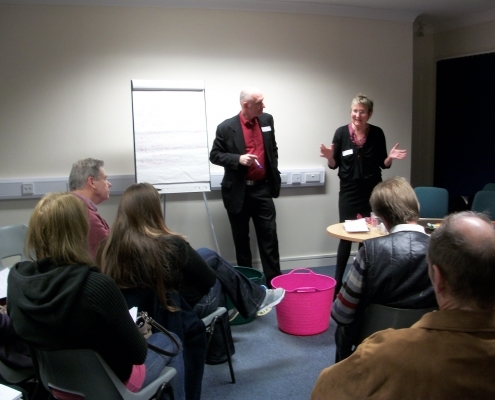 To hire us to run a workshop for you exploring key concepts within ‘Pink Bucket Thinking’, please call one of us on our direct mobile numbers, Julie: +44(0)7989 991 056 or Tony: +44(0)7989 469 570 to discuss your specific needs and desired outcomes. Or go to our contact page.